A middle-aged woman identified as Chinwe, has been arrested by the police in Abuja, the Federal Capital Territory (FCT), for allegedly using a hot iron to inflict severe injuries on her 12-year-old son in the Jabu area of Dutse. Police in Dutse have arrested a 25-year-old woman for allegedly inflicting severe injury on her 12-year-old son in Jabu, Dutse, Abuja. The suspect was reported to have applied a hot electric iron on the son’s hand and back after accusing him of allegedly defiling his 4-year-old sister. A neighbour who reported the abuse to the police, said that the suspect was about to catch a cab for Mararaba in Nasarawa State, when she remembered that she did not carry her baby’s pampers and returned home to get it when she got the shock of her life. “When Chinwe got to the room, she met the daughter standing with her pants wet, having urinated on the bed and she suspected foul play. She was unable to find out what the matter was as she was already late for where she was going, but revisited the incident when she returned later in the day. 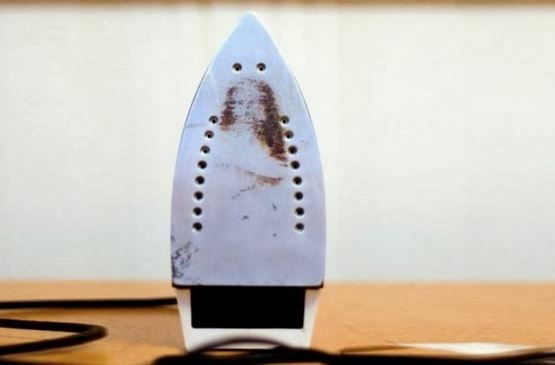 Since the answer she got from the little girl when she asked her what her brother did to her was not what she expected, she had to threaten her with the electric iron the son was ironing his cloth with at the time. The little daughter was forced to admit she was defiled by the brother, a response that provoked the Chinwe to descend angrily on the son." "She first flogged him with a cane and later injured him with a knife before she eventually used the same hot iron to inflict further injury on him,” the neighbour narrated. It was gathered that the victim was rescued by a cyclist as he was running away from the suspect and drove him straight to the police station. The Divisional Police Officer (DPO), of the Dutsen Alhaji DPO, CSP Aisha Yusuf, confirmed the arrest, saying the case had been transferred to the state CID.